Precious Jewels UK are an established jewellers based in Manchester. We specialise in diamond jewellery: engagement rings, wedding rings, eternity rings and platinum rings. Our unparalleled service accompanied with decades of knowledge has earned us our worldwide reputation. We take pride in retailing top quality diamond jewellery through our secure website. You can be rest assured that any item purchased through Precious Jewels UK is independently certified, and our extremely competitive prices means that we can offer diamond and platinum rings at a fraction of the high street price. 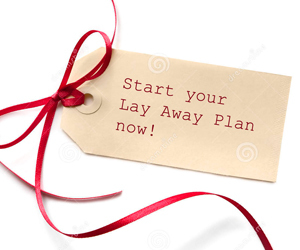 The Precious Jewels UK 'Lay Away Plan', gives you the freedom and flexibility to buy that special piece of jewellery with the option of spreading the costs over several months. At Precious Jewels UK we realise that choosing jewellery can be an extremely stressful experience. We want to make that process as simple and enjoyble as possible. Thats where we step in and we offer expert advice on all our products and our no pushing technique means we put no pressure into buying anything. We offer a 30 day money back which means you will only keep it if you are totally satisfied, giving you ease of mind. All our jewellery is fully certified making sure you get what you pay for and not to find any nasty surprises.